"Popularity is a state of mind." Charlie Bartlett’s mother suffers from depression and his father is in prison. After being kicked out of multiple fancy private schools, Charlie is sent to public school. In order to avoid harassment, Charlie teams up with the school’s bully and makes a deal with him to sell the other students drugs which Charlie acquires from therapists while pretending to have various ailments and emotional issues. However the students soon start telling Charlie their problems and he becomes the school’s unofficial psychiatrist. 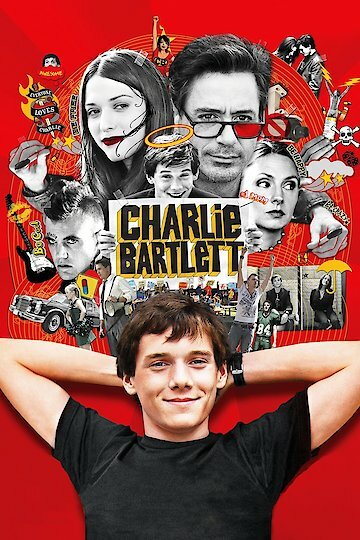 Charlie Bartlett is currently available to watch free on Tubi TV, The Roku Channel, Vudu Free and stream, download, buy on demand at Amazon Prime, Amazon, Vudu, Google Play, FandangoNow, iTunes, YouTube VOD online.